I made this instruction guide for this post on www.rpgmakervxace.net, but by the time I finished making it someone else already showed him how. But here it is anyway. You can find the script here under Menu scripts. This is the Common Event you would need to set up to make the Bronze Lance. This the Common Event you would set up to call the shop so that it will update the variables correctly. This is how to set up the event which calls the shop and how I set up the variables. You don’t need to use the Variables condition, I just had that selected so I could put the variable window in the same image. This is what all this hard work ends up looking like in the Shop itself. In the right hand window it shows the player how much of each of the ingredients, that are needed, that the player currently has. The icon for the bronze lance doesn’t really match, but I didn’t have a bronze lance icon to use. 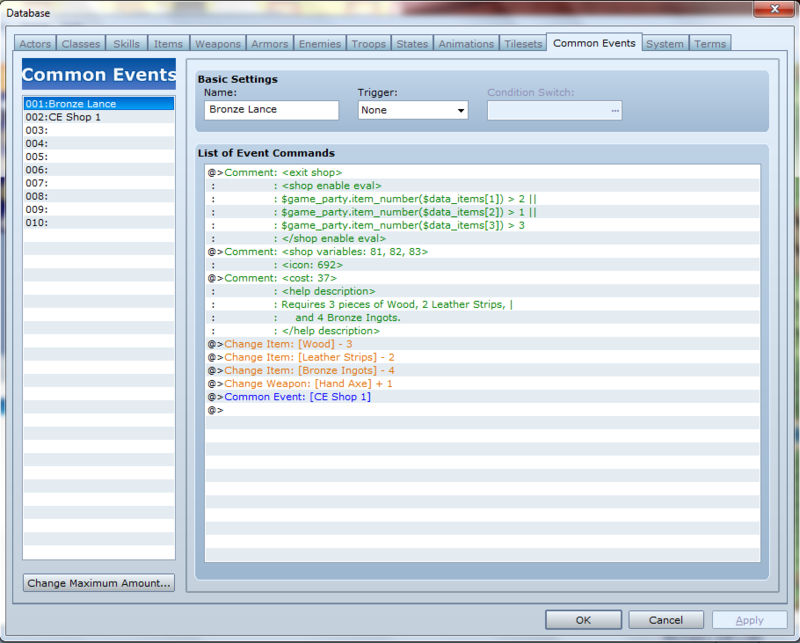 The common events could then be copied and pasted then modified for each item you wanted to create with minor changes. 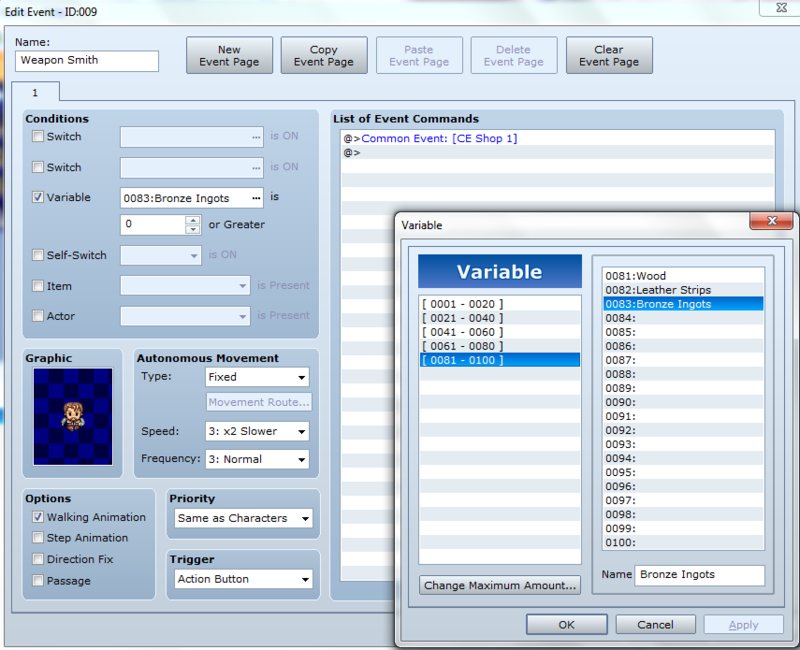 Don’t forget to add the additional variables, if used, to the shop common event. This is very basic and eventually when I have the full version of Ace I will update this to show a more advanced multiscript version of this.